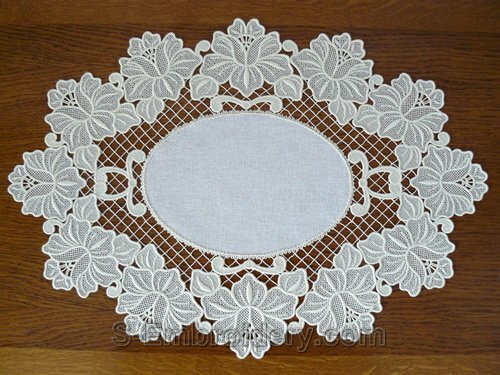 A set of 6 floral free standing lace machine embroidery designs. 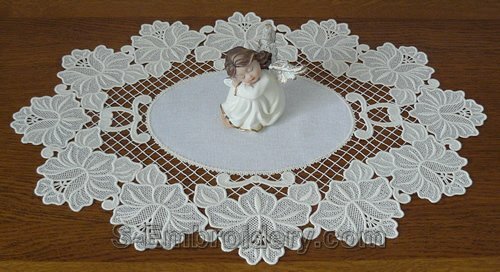 Use it combination with suitable fabric to create a beautiful doily measuring approximately 21 x 15 inches (54 x 38 cm). The size of the designs is between 3.48 x 6.78 inches (88 x 172 mm) and 4.61 x 4.40 inches (117 x 111.7 mm). In general, you will need at least a 5x7 (130x180) hoop. 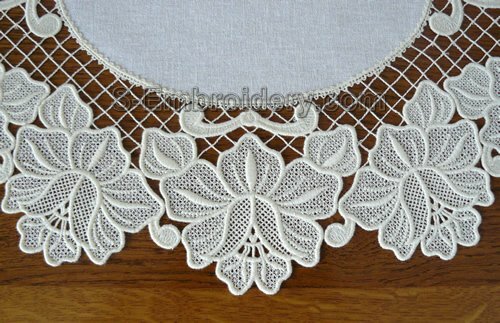 The number of stitches is between 17,581 and 24,835. 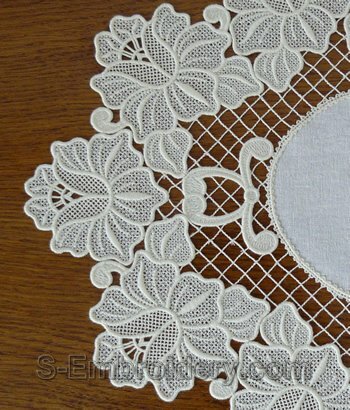 You receive 6 machine embroidery files in one of the supported formats and 2 PDF files with design information and instruction for putting together the freestanding lace doily. Comprei este bordado!!! !meu trabalho ficou muito lindo o bordado é de muito boa qualidade!!!!! ja fiz este trabalho todas as peças saem muito boas.